Tomkins, his Lordship's longest serving and most trusted horticulturist is retiring and the prized position of Head Gardener is up for grabs. Join his team of green-fingered underlings as you compete to create the most beautiful flower beds in the garden. 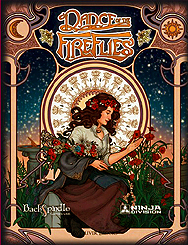 The more flowers you plant, the more Fireflies will visit your patch and that's a sure way to please her Ladyship and see your career blossom.